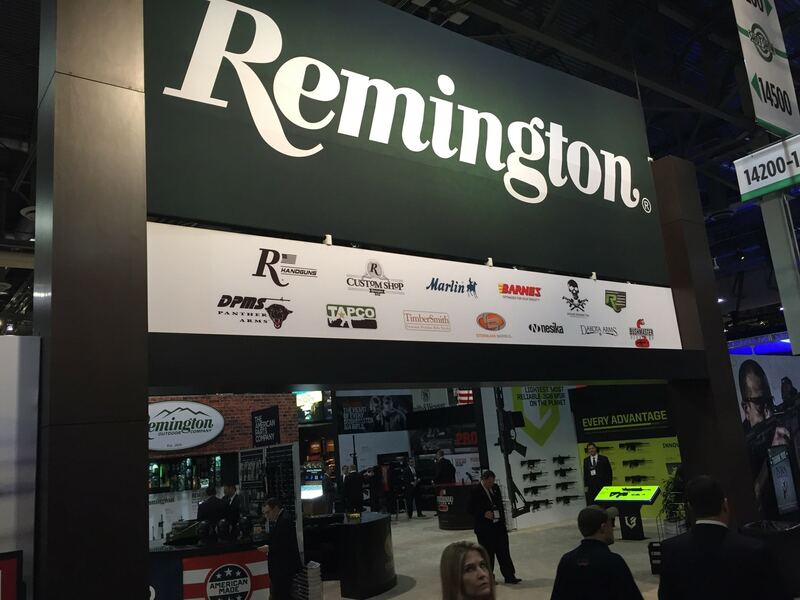 Executives with Remington Outdoor Company, which owns a host of gun and ammo brands, attributed the company’s 31 percent decrease in third quarter sales to soft market conditions resulting from last year’s surprising election victory by President Trump. Remington reported a $16 million loss for its third quarter, which saw $154.1 million in sales, some $68 million less than the year before, according to company financial filings. Eight months into the year, revenue has fallen by $177 million, putting the company at a $60.5 million loss. “In this environment, with reduced sales visibility, I’m looking forward to the end of 2017,” said James Geisler, executive chairman of Remington’s board, in a prepared statement during last week’s conference call with investors. National trends have been less severe with gun sales dropping 16 percent for the quarter and trailing 2016 — the biggest year on record — by 12 percent. But the gun industry as a whole overproduced leading up to last year’s presidential election, where pro-gun control candidate Hillary Clinton was predicted to win. With clogged and overflowing inventory channels, gun makers including Remington turned to discounting and rebates to drive sales. While Remington experienced decreased earnings from ammo and other consumer goods, the company saw the most significant hit in firearm sales, which dropped 41.8 percent from last year. Rifles sales, including modern sporting rifles, or ARs, fell by $32.4 million. “MSRs are a very large contributor to our sales decline,” said Stephen P. Jackson, Jr., the company’s chief financial officer. Eight months into the year, firearm sales fell 33.4 percent, or by $107 million. When exactly inventory levels will return to normal — or become more predictable — is unclear. “There are varying views out in the industry as far as when the channels will actually clear, but I think we’re looking forward to a better start in 2018 than we have in prior years,” Jackson said, adding some retailers organize inventory by category rather than brand which causes “a little bit of disruption” for planning. Jackson said Remington will likely continue driving sales with discounts and rebates next year. “Going forward, we’re actually in the middle of planning our year with our customers from that standpoint. We will address each thing — whether it’s pricing, discount, rebates, etc — we’ll have some components of that as we’ve had prior to ’17, but we’re not in a position to really offer the depth or strengths of those at this point,” he said. Remington’s newly appointed chief executive officer Anthony Acitelli — who the board elected to take the top spot in October — addressed changing the company’s process to better adapt to changing market conditions. Calling Remington a “market-driven company,” he said he’s reviewing and optimizing the company’s existing organizational structure to improve response to market needs, changing conditions and in turn improve the overall financial performance. Although company executives express confidence managing fluctuations in demand, Remington must face a significant debt amounting to the tune of $964.5 million and repayments are due by 2018 and 2020. Remington executives largely declined to address the debt directly, often referring back to Geisler’s opening statement. “We are mindful of our debt maturities coming due in the second quarter of 2019. We continue to have discussions with our lenders and will provide an update at an appropriate time,” he said.